Curry 6 Colorway Inspired By Stephen Curry's Mission To Working On Excellence | RESPECT. Under Armour Basketball and Stephen Curry share with you the latest Curry 6 colorway, Working on Excellence, a homage to this phrase and mantra which has become a way of life for Stephen and his family. The Curry 6 Working on Excellence is inspired by this expression, created by Stephen’s cousin-in-law Devontée, a musician based out of Toronto, understanding that success is earned, not given. 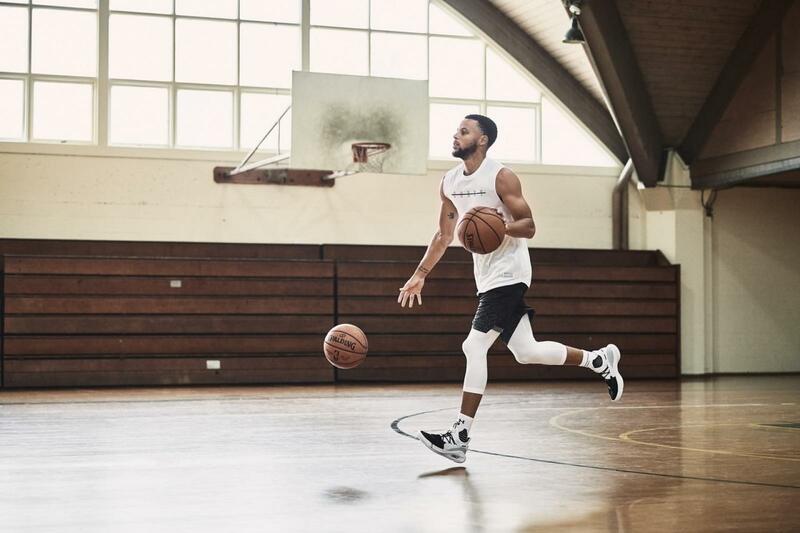 The Curry 6 Working on Excellence has a striking white black knit upper that represents the balance in Stephen’s life between work on the court and work with his family – the two most important parts of his life, and the consistent approach to work on excellence in both phases. It releases on UA.com, at UA Brand Houses and at select retail partners for $130 USD on 2/8/2019. The Under Armour Curry 6 Working on Excellence colorway releases on UA.com, at UA Brand Houses and at select retail partners for $130 USD on February 8, 2019. Limited pairs of the new colorway will be available beginning February 1, exclusively at the SC30 x Oakland pop up shop located at 472 9th Street in downtown Oakland. The pop-up is open 12-7 pm PT Friday through Sunday and on the Warriors’ home game days.